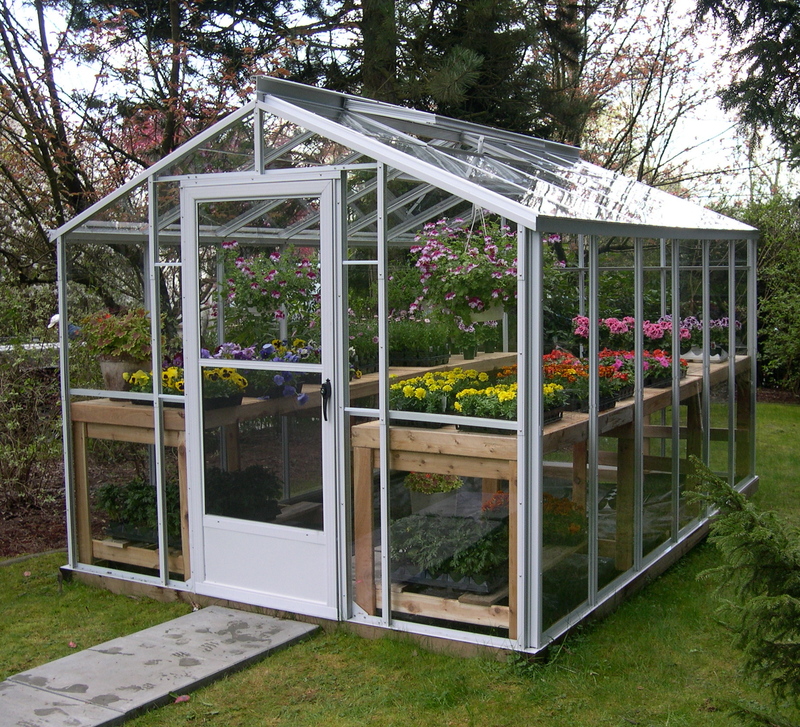 Our hobby greenhouses and commercial greenhouse models can be either ‘Free Standing’ or ‘Lean to’ (Home Attached). 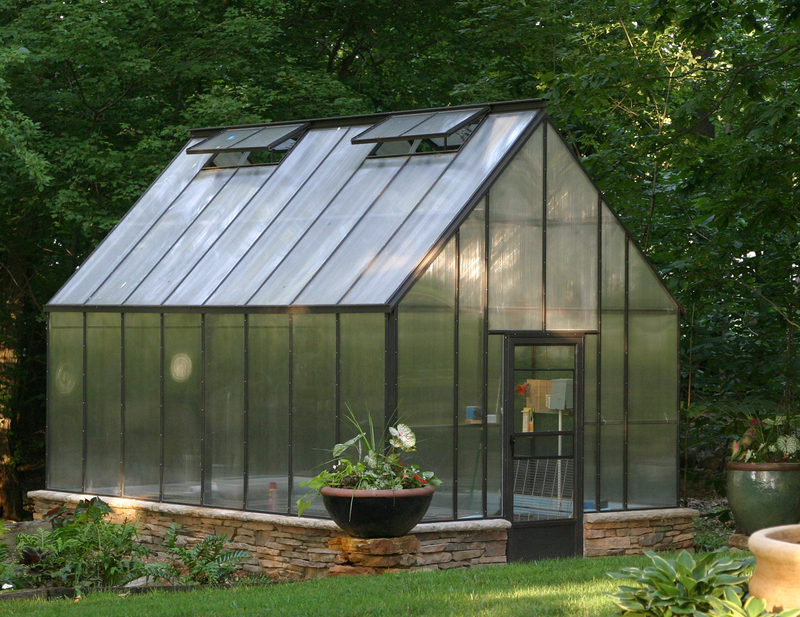 All greenhouse hardware is stainless steel for long last durability. We can add gables, glass tinting, tempered or laminated glass, custom lengths, widths, heights, and roof pitches to suit your needs. 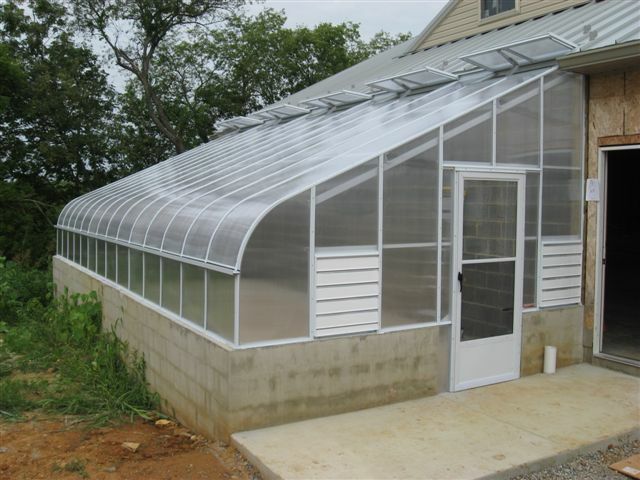 Straight eave and curved eave greenhouses are standard. 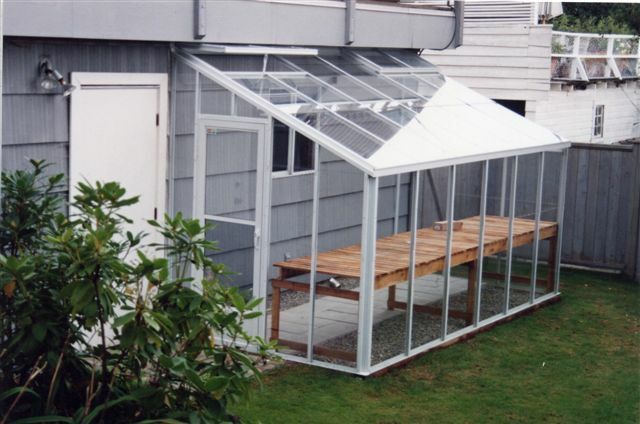 We also carry greenhouse accessories. 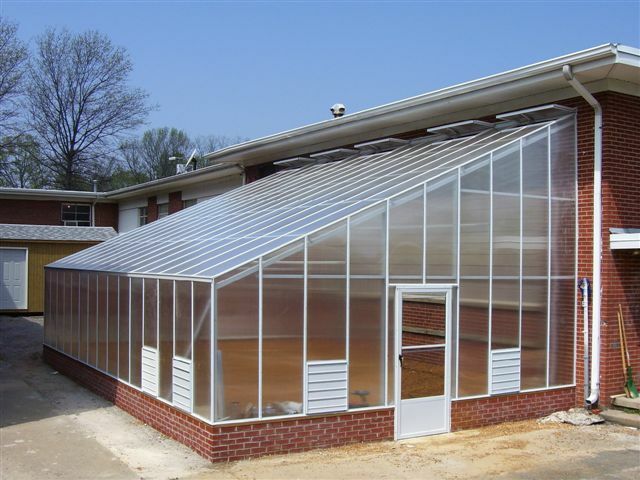 Outstanding custom greenhouses designs have made Everlast Greenhouses a leader in the greenhouse industry. 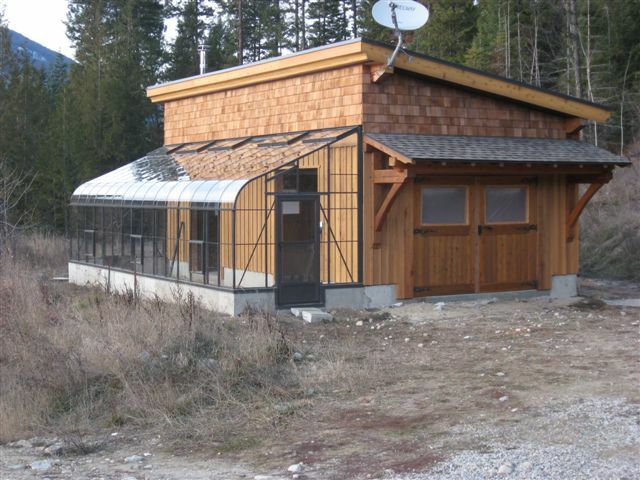 A unique, well engineered, aesthetically pleasing greenhouse is not out of your reach! Have a look at some of the projects we have built. 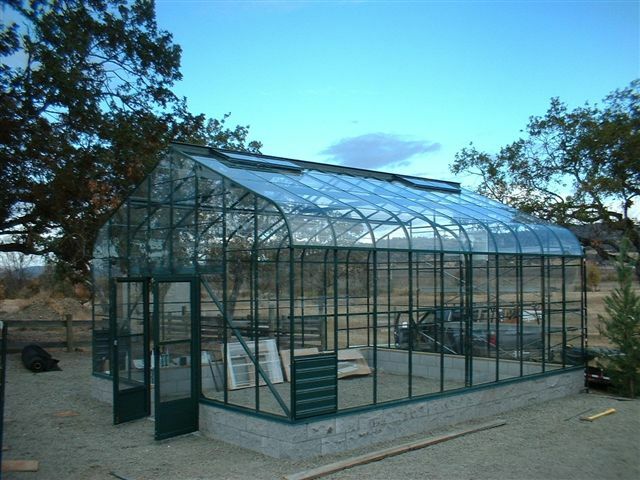 Most greenhouses allow additional sections to be added for extra growing room. 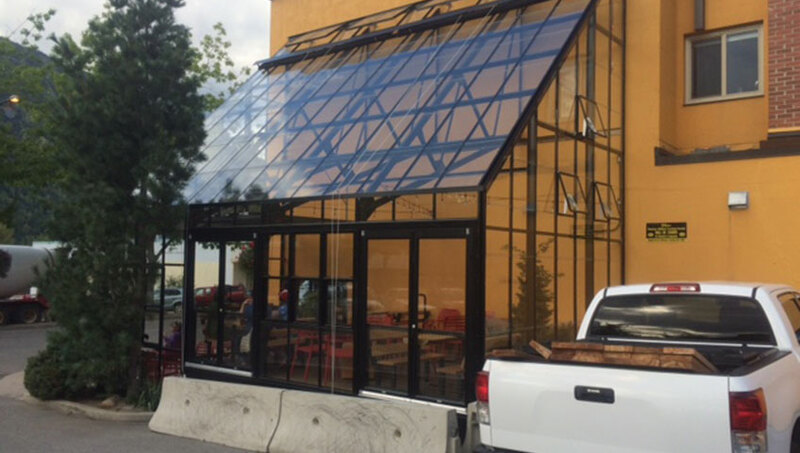 “Lifetime” for the greenhouse aluminum frame. 10 Years for paint finishes polycarbonate. 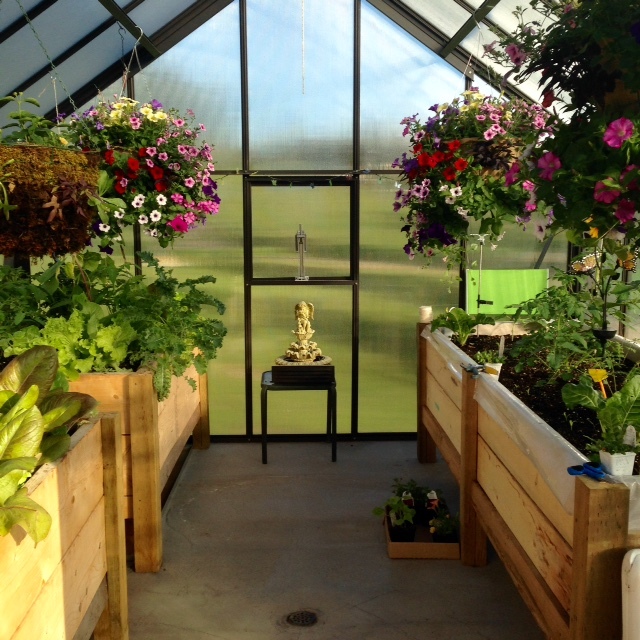 We have the experience and expertise to customize any greenhouse to suit your needs. 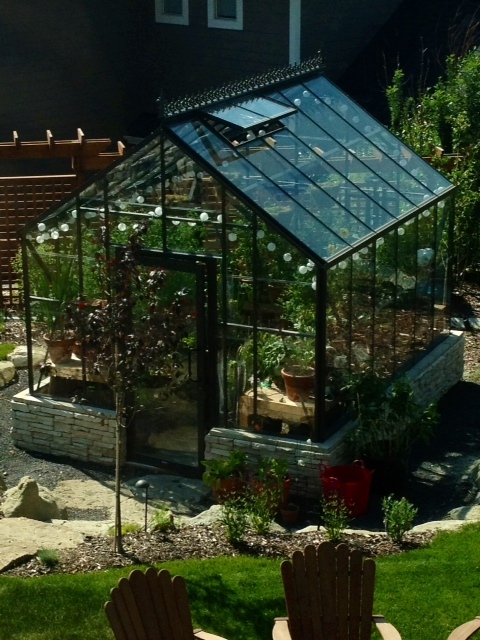 We manufacture and build on our site, every Meridian Estate greenhouse we design, ensuring a perfect fit on every piece, and a smooth installation. Contact us for your garden room dreams! Here is a coffee shop we worked on in Nelson BC. 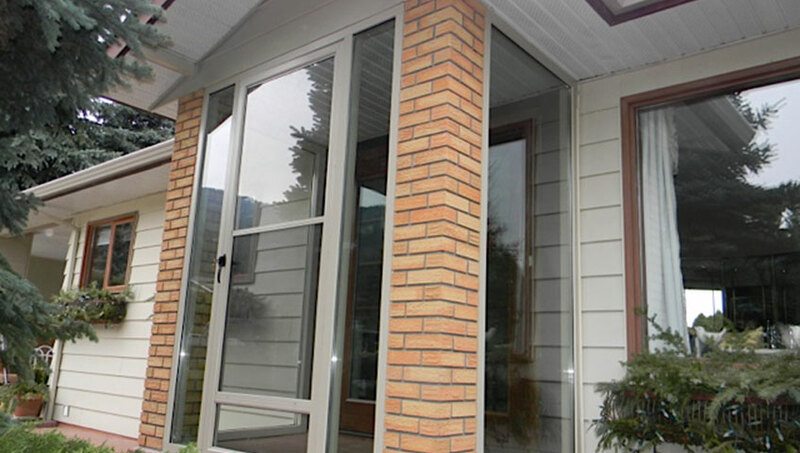 Have a look at these glass walls we built for the front entrance of a house. 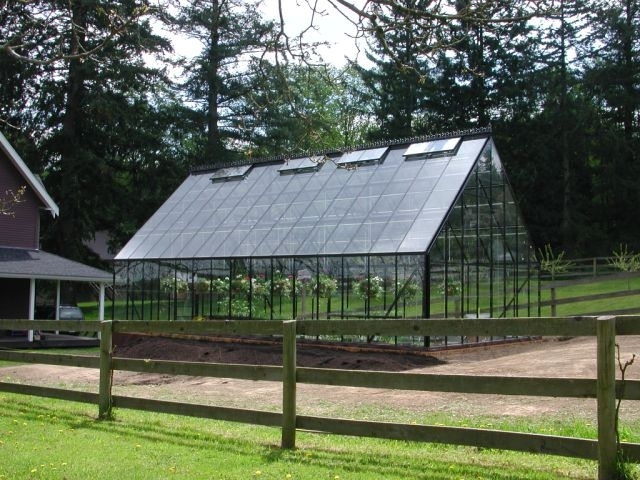 After a year of research on all of the small greenhouses available, I bought a beautiful and structurally strong Sun Garden Greenhouse from Everlast Greenhouses. Not only is the quality amazing, but this company restored my faith in that there really are companies that care about their customers and the product they sell. Thanks. 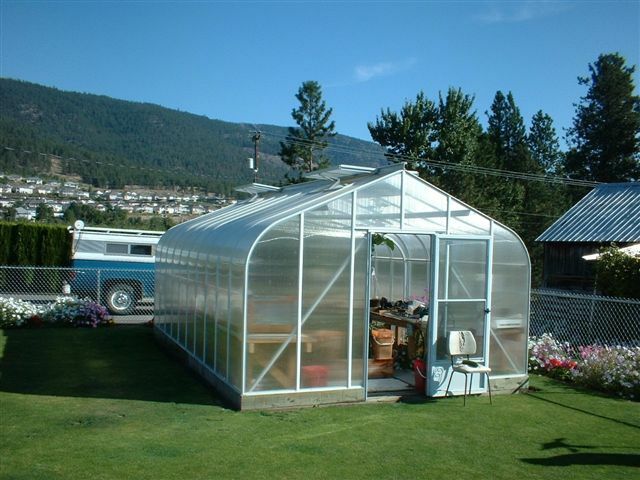 My wife and I ordered a 12' x 16' single glazed greenhouse from Everlast in March 2010. It was promised to arrive in mid April, and to my pleasant surprise, it arrived two weeks early. I was very impressed with the crating. Not a single item was bent or broken. The quality of the kit is very good. The greenhouse went together on a few days with some extra helpers. I found the video which is provided to be much more helpfull than the written instructions, but you need those as well for some of the construction. My experience with Everlast was great, and I would recommend them to anyone wishing to buy a greenhouse. 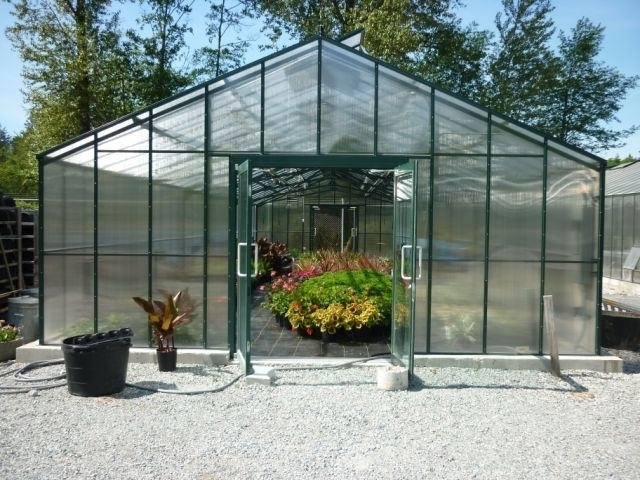 Our greenhouses come in a large selection of shapes, sizes, and material types, please download our PDF catalog.